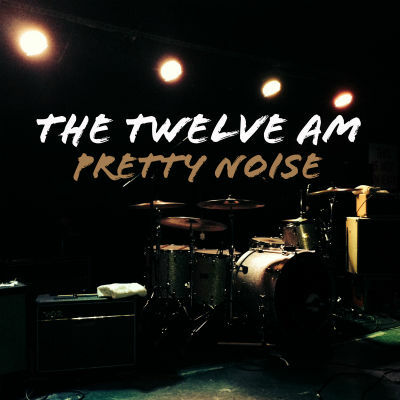 Set to be released on January 18, 2019, Pretty Noise is the debut album of Connecticut based band, The Twelve AM. The title of the album itself serves as an apt (if minimal) description of the sound. It’s a noisy kind of alternative power pop with delightful melodies and occasionally romantic undertones. The distortion laden but impressively precise guitars compel the listener to take the album seriously from the get go. With the opening track, Punk Drunk one can immediately detect the instrumental skill here combined with top tier production quality and mixing and realize these aren’t just a bunch of kids playing around. Many of the songs have a pretty straightforward 90s alternative, post-grunge vibe, but the 6th track Guitar Boys pleasantly surprises as a crystal clear, pop gem. It’s the best song on the album in my opinion and has the most potential to be a hit. Empty is a later track which has a similar feel and is also very good. What’s notable to me about this album is how dynamic the songs are. Every song on the album seems to have its own musical personality. Even tracks which are done in the same style are still distinct and display a lot of variation in pacing, rhythm and content. Nothing here seems redundant. The vocals sound pleasant and emotive, and most importantly they are clean and haven’t been processed into oblivion (unlike many contemporary recordings.) This is a pretty solid debut album. There are indie bands out there who end up putting out 20 albums which may never come close to being as good as this.